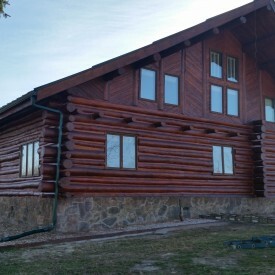 Nobody does log home restoration better than 888-LOG-GUYS! We also specialize in log home repair and log home maintenance. If you would like to build an addition to your log home, we have the carpentry skills to make it happen. And when you become our client, we will always be there to maintain your log home and fix your logs if unexpected events happen. Log home care is a huge undertaking, and we want to be your GUYS to ensure your log home or log cabin in the Dickson TN area is in its best condition. Without proper maintenance, logs over time will begin to deteriorate, become dark, and look weathered. You may need to have it restored if it has been several years since your log home has been cleaned. 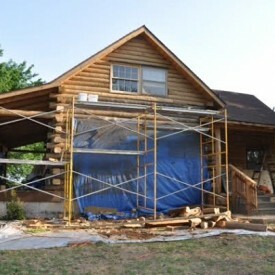 Our crew uses media blasting (corn cob, glass, sand, and walnut blasting), sanding, borate treatment, chinking or caulking, and staining in its log home restoration process. Our staff will discuss how best to restore your home with our different pricing packages. Call us today, or you can ask us online how we can help you! At 888-LOG-GUYS, we know how to repair your logs that may be damaged due to rot, insect infestation, weather, or birds. 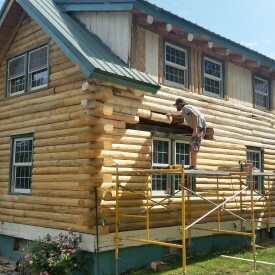 We have repaired or replaced logs on many different log homes and log cabins in need of log repair or log replacement. 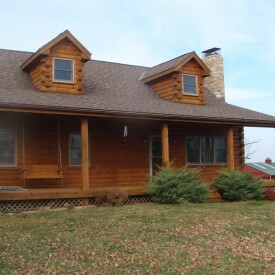 Whatever your problem is, we can fix your log home in the Murray KY area back to the great condition it was once in. There is no need to stress about it anymore! Ask us to give you a free estimate from our website, or give us a call. Ask 888-LOG-GUYS to apply an energy seal in between your logs to prevent annoying bugs and insects from finding their way in your log home, to keep air drafts from developing around your windows, to stop water from leaking in your log home. 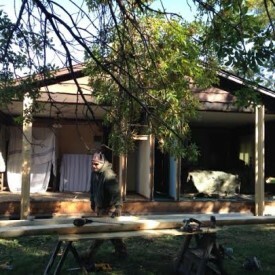 We can seal those gaps and keep your log home or log cabin in the Murray Kentucky area a cozy and secure place. Our staff is ready to answer any questions you might have concerning your log home energy seal. 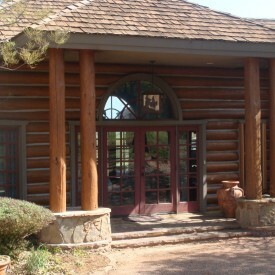 If you would like to make some additions to your log home, then ask 888-LOG-GUYS to build your log home dreams. We do currently provide full log home construction services on a limited basis, and we can construct what you would like to add onto your log home. We can build log staircases. We can build log railings. We can construct decks, porches, and patios. Call us and ask what else we can do. You may be surprised what you can get for the price you would pay! Once a client, always a friend. 888-LOG-GUYS will never leave you hanging for an emergency log repair or log home cleaning that will be due. As a matter of fact, we will keep the guesswork out, and remind you of when your log home or log cabin needs to be cleaned. There is no more need to stress about your log home care needs. Call our phone number, or request an estimate for us to serve you in the Murray KY area!